The loan-to-value ratio (LVR) restrictions have created a lot of discussion about the affordability of buying your first home. We’ve put together some helpful advice to help you determine if you’re ready to take your first step onto the property ladder. How much deposit will you need to buy your first home? Most lenders will require you to have a 20% deposit for your home loan. For example, if you wish to purchase a home worth $400,000, you would require an $80,000 deposit. However, most lenders have loan products to borrow up to 90% of the property value. Reserve Bank regulations allow for 10% of a lender’s home loan customers to have an LVR of over 80%. Certain property developers have also offered as low as 5% according to the article First-home buyers beat deposit rule in the New Zealand Herald. If you don’t have a 20% deposit and need to borrow more than the 80% threshold you should speak to a mortgage adviser who can talk you through your options. Approach lenders to get finance pre-approved so that you know what price range you can look at for your new home. Given your income and financial commitments banks will provide a pre-approved amount (to which terms apply) beyond which they would not lend. 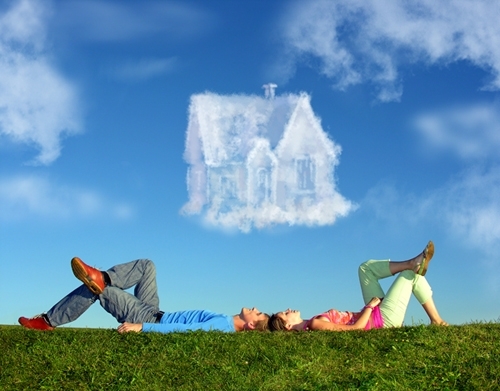 This gives you a ceiling for the maximum you can spend on buying your first home. Along with your savings, there are other sources of income that can help to supplement your first house deposit. For instance, if you meet certain criteria you may also be able to secure a FirstHome grant of up to $20,000 through Housing New Zealand. KiwiSaver members should also look into the scheme's deposit subside and savings withdrawal options. You may also like to consider entering a shared ownership agreement with friends or family if you don’t have enough savings or a high enough income on your own. Now that you've got your finances sorted and know how much you can afford to invest in your first property, it’s time to find your dream home.